Two shades in one, the Silhouette A Deux combines a Silhouette shade with a room darkening roller shade in the same headrail. This back shade operates independently from the Silhouette, allowing you to easily control the amount of light that comes into your bedroom or other living space. Energy efficient shades help you save on energy bills by controlling the amount of light, heat, and cold air that comes into your home throughout the year. 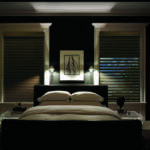 Cordless shades are the safest lift system available, preventing children and pets from becoming entangled. Motorized shades allow you to control your shades with the touch of a button or tap of a screen. The PowerView mobile app enables you to set schedules and control your shades no matter where you are. 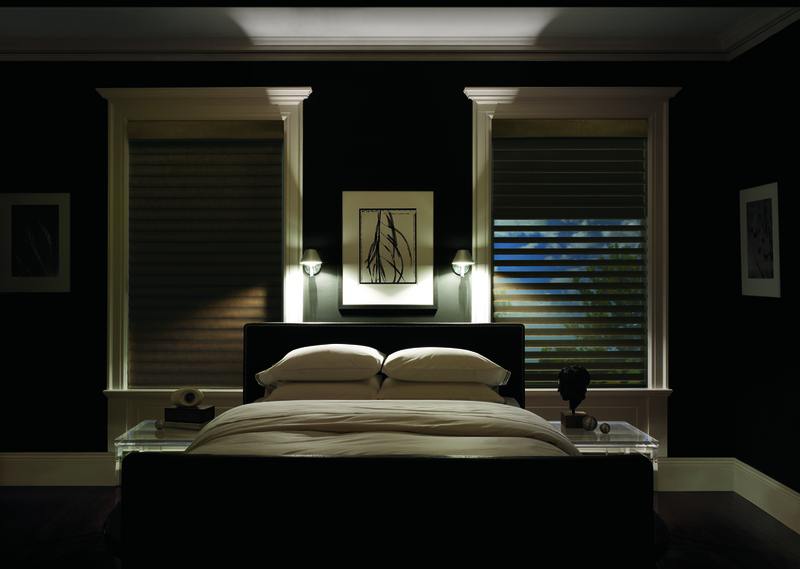 Room darkening shades control the amount of light coming into your home no matter the time of day. These shades also have a tighter window trim fit to prevent light from seeping around the edges. Smart-Home Compatible shades can integrate with your preferred smart home system, including: Nest, IFTTT, Google Home, Amazon Echo, Logitech Harmony Home for easy to control shades.